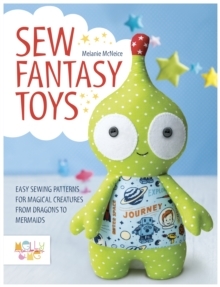 Friendly monsters, pretty mermaids and magical fairies make up part of this brand new toy sewing pattern collection from Melly & Me. 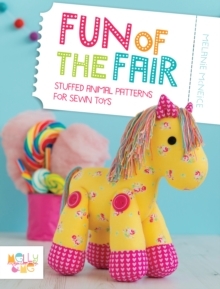 It includes 10 projects for cute stuffed toys based on the theme: fantasy creatures. 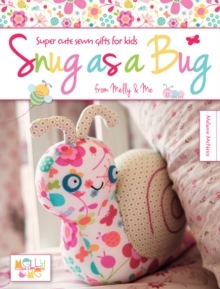 This is a gorgeous new collection of 'huggable' creatures from soft toy designer Melly McNeice. You will love the designs for fantasy creatures including friendly monsters and mystical unicorns which will capture your imagination as much as your children's. 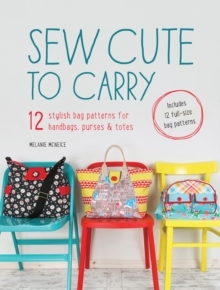 Melly uses bright, modern fabrics for her colourful, easy to sew, designs making them irresistible. Why not try the pretty mermaid for your daughter to cuddle up with at bedtime, or the friendly dragon who will protect your precious one while they sleep...Or make them all and create your very own fantasy world of cuddly toys which will are sure to make very special keepsakes in years to come. This titles follows on from Melly's other successful titles: Fun of the Fair, Snug as a Bug and Sewn Toy Tales.